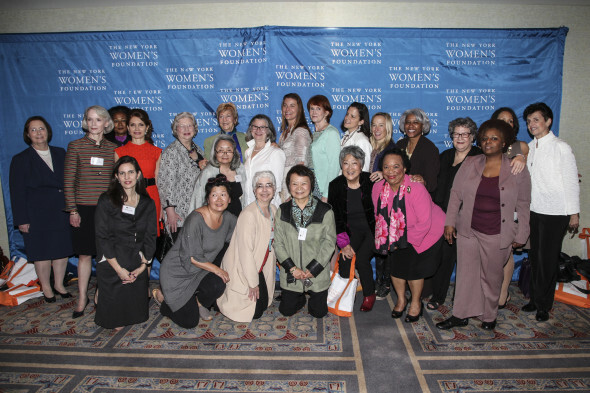 The New York Women’s Foundation® (NYWF) is a cross-cultural alliance of women working to improve the lives of women and families in New York City. The New York Women’s Foundation funds women-led, community-based organizations that promote economic security, anti-violence and safety, health, and sexual and reproductive rights. From its start 27 years ago, the organization has grown from a small group of committed women to one of the top three women’s funds in the world. More than 5.7 million women and girls living at or below the poverty line in New York City have been served by Foundation-supported organizations. During the past 27 years, The Foundation has distributed more than $49 million to 308 grantee partner organizations working to improve the health, safety, and economic well-being of women and families in NYC. 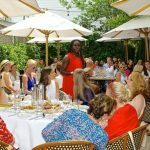 Each year, The New York Women’s Foundation hosts several events, including its signature Celebrating Women® Breakfast. 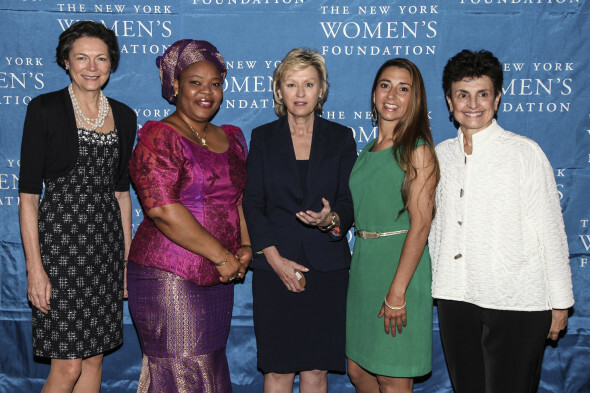 Last year’s 26th Celebrating Women Breakfast honored Rachel Lloyd, Founder and CEO of GEMS (Girls Educational & Mentoring Services), Tina Brown, Founder and Editor in Chief of The Newsweek Daily Beast Company, and Nobel Peace Laureate and Liberian peace activist, Leymah Gbowee. This year’s sold-out Celebrating Women Breakfast will be held on May 8, 2014. 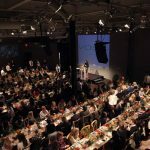 Honorees will include: feminist, activist and writer Gloria Steinem, who will receive the Century Award; Jessamyn W. Rodriguez, Founder and CEO of Hot Bread Kitchen, who will receive the Celebrating Women Award, and Soffiyah Elijah, Director of the Correctional Association of New York, who will also receive the Celebrating Women Award. There will also be a special appearance by legendary folk singer Judy Collins. 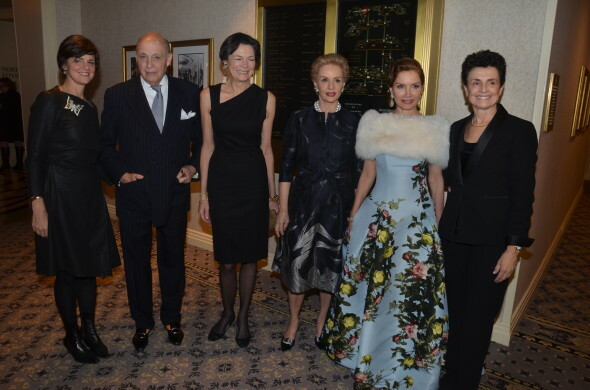 Last fall, The Foundation hosted A Starlit Evening, a gala honoring Carolina Herrera, Morgan Stanley and the Ford Foundation. The event raised over $700,000. For this special evening, NYWF President and CEO Ana L. Oliveira and NYWF Board Chair Anne E. Delaney united with leaders in the worlds of fashion, finance and philanthropy under a shared mission to improve the lives of families and women in New York City. NYWF Board member Diana Taylor, who presented the award to Carolina Herrera, also presented her with a proclamation from NYC Mayor Bloomberg recognizing Carolina Herrera New York for outstanding service to the city and community. Event co-chairs included Anne E. Delaney, Abigail E. Disney, Agnes Gund, Jay and Grainne McNamara, Yvonne Quinn, Jean and Martin Shafiroff, Regan Solmo and Geoffrey Brewer, and Diana L. Taylor. Vice-chairs included Sue and Rick Coté, Joyce Cowin, Ginny and Sean Day, Barbara and Eric Dobkin, Cathy and Walter Issacson, Michele and Jason Penzer, Sheri Sandler and Joan and Donald Sherman. 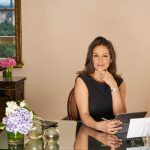 Jean Shafiroff, a current Board member of The New York Women’s Foundation, has hosted several annual luncheons in support of The Foundation and currently co-chairs many fundraising events.